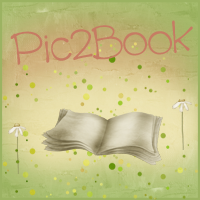 Bookittyblog YA Book Reviews: Of Metal and Wishes by Sarah Fine Review and GIVEAWAY!!! 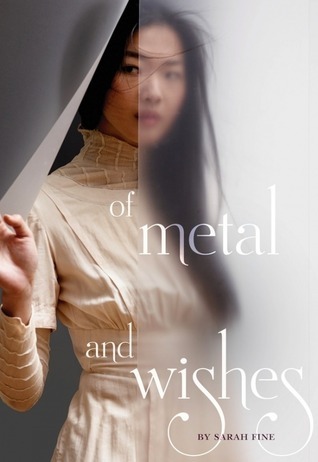 Of Metal and Wishes by Sarah Fine Review and GIVEAWAY!!! Of Metal and Wishes was not what I was expecting, not even close. This book was really dark, beautiful and scary. I’m surprised at how every single element of the book came together and worked nicely. I have to admit that the first few pages had me scratching my head because I had no idea where Fine was going with the book. But, every single thing that Fine incorporated in the book worked out in the end and the result was very enjoyable. One of my favorite part about the book were the Noor. I was touched by how much they loved each other. These men are described as very manly tall men and to see how loving they are towards each other amazed me. Malik the leader of the Noor was amazingly fleshed out, I loved every single thing about him. On the other hand our main character, Wen, was a little hard to love at first but she grew on my by the end of the book. I got a little frustrated with her but I had to understand the circumstances she was in and try to put myself in her shoes. Lastly, the ghost, I loved this character so much. He was scary but at the same time I couldn’t help not rooting for him. It was confusing. He did terrible things but he cared for Wen. I just wanted him to be happy. I really hope you guys read and enjoy Of Metal and Wishes as much as I did. 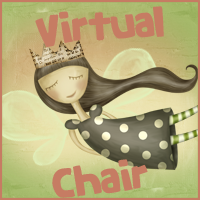 Don't forget to visit Alexa over at Collections and Joy over at Joyous Reads to read their reviews!! We are giving away 1 signed ARC of Of Metal and Wishes to a lucky winner. The giveaway is INT'l. To enter just fill out the Rafflecopter form below. I'm curious about Of Metal and Wishes. I haven't heard that much about it. It sounds pretty good though, and I do love ghost stories. I absolutely loved this read and I am so exited that you loved it too! This book does sound intriguing. Thank you for the highlight and your review. Very helpful. It sounds like an exciting book. I just love stories with ghosts. Thanks for having the giveaway. I love it when a book surprises you (in a good way! ), and I can't help but be intrigued by the Nor. Fab review, and thanks for the chance! This books sounds so good! Gothic, ghosts and what not. Thanks for the giveaway! this book looks and sounds fabulous! I've had this on my radar for a while and I can't wait to read it :) Thanks for sharing! PS. That ghost character seems cool. Glad to see you enjoyed it! Not a huge fan of the cover but I'm looking forward to reading it. I absolutely adore this cover! Ahh, so pretty! It sounds like this one is pretty unique to the typical YA read, so I'll definitely have to keep my eye out for it. I love creepy/dark books and this one has been on my list for a while now! I can't wait to read it. Ah, you are another one of the reviewers who loved this book, it sounds totally amazing and up my alley! I like the sound of the setting, the characters and the romance. Great review! I'm glad you're giving on your review something to expect during the first chapters, so we don't get too lost. Wayfaring Stranger by James Lee Burke Giveaway!